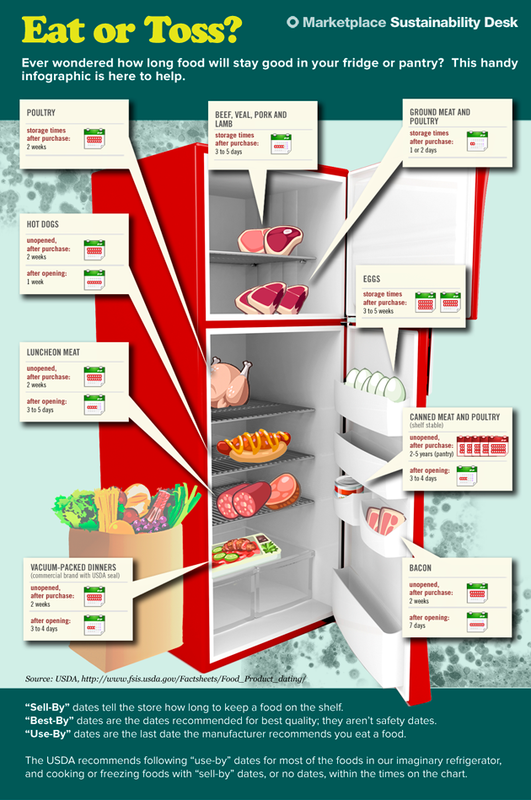 *Throwback Thursday* What Do Food Expiration Dates Mean? They are found on thousands of products at your local grocery store. I’m talking about all those ”Sell By” or “Use By” dates. “Expiration Date” means that. It’s the last day the food item should be eaten or used. “Best if Used By (or Before)” date suggests eating the product before the date for the best possible quality. “Sell-By” date suggest you buy the product before the printed date, but it doesn’t mean that product has spoiled…yet. “Use-By” is self explanatory. Basically the last date to use the product at the peak of quality. For more info, check out the USDA website. Hope this helps!